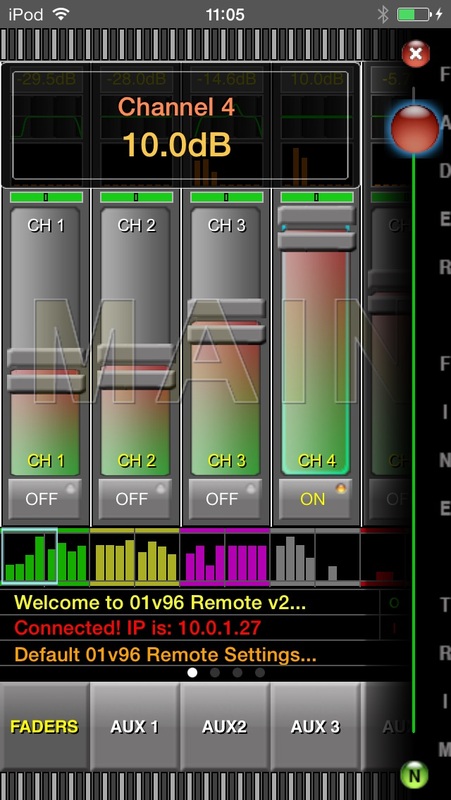 01v96 Remote is an iPhone App to remotely control a Yamaha 01v96 Mixing Console via WiFi. Imagine the advantages of being able to wander around an auditorium, tweaking mixes and settings from your iPhone! To use the App you must have UMMU Server installed on the host computer. This is a free download from the StrongSoft website.